Macabre Tales RPG Available Now! Announcing Macabre Tales, Spectrum’s Lovecraftian Horror RPG! 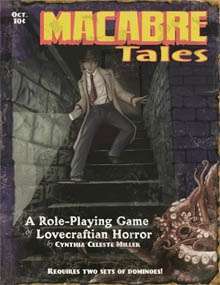 Spectrum Games is pleased to announce the release of Macabre Tales, a dominoes-based role-playing game that seeks to faithfully emulate the type of “weird stories” penned by H.P. Lovecraft during the 1920s and ’30s. 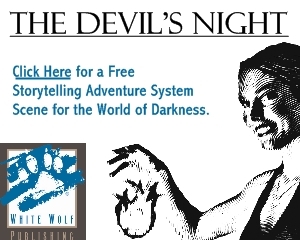 The game is intended for use by one narrator and one player, but there are detailed optional rules for multiple players as well. Macabre Tales forgoes the use of dice in an effort to better model the meticulous, exacting nature of Lovecraft’s stories, opting instead to employ the use of dominoes. Another important aspect of Macabre Tales is that it completely ignores the “contributions” of other authors to the pseudo-setting that Lovecraft established and concentrates solely on that which he created himself. 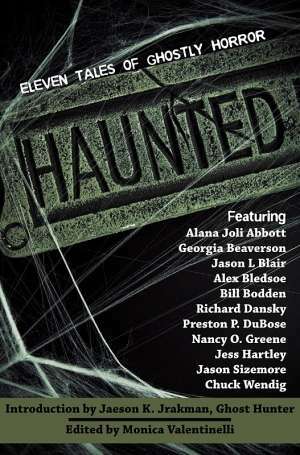 If Lovecraft had nothing to do with a creature, tome, location or tale, it’s not included in this book. Macabre Tales is available now at the Flames Rising RPGNow Shop.